Now this is the kind of sign I like to see in Tsukuba! 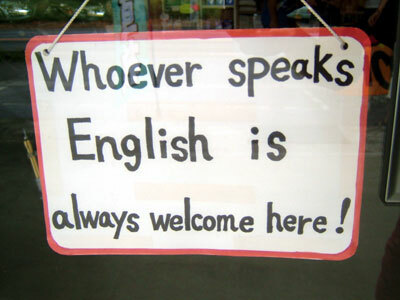 The sign is prominently displayed in the window of Motoshop Wildcats, a motorcycle shop in the north of Tsukuba. 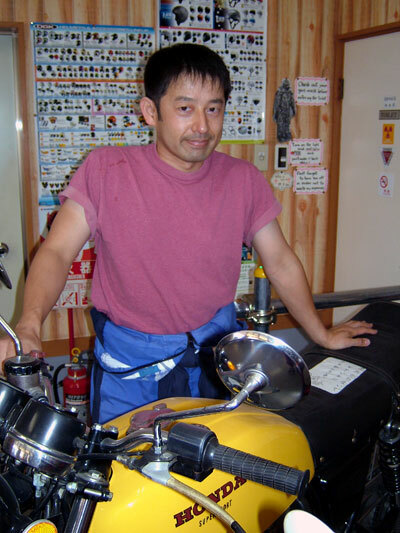 The shop’s owner is Osamu, an expert in all things related to motorcycles — and more than happy to serve his customers in fluent English! The shop is located at Ozone 114-4. Take Nishi Odori north all the way to where it meets Higashi Odori (McDonald’s will be on your right). Keep going north for about a minute or two. You will see the shop on your left. 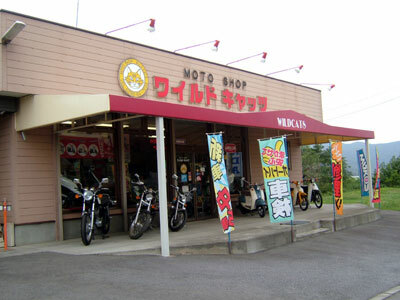 Osamu’s shop sells motorcycles and scooters. Also, one of my friends says that he is an excellent mechanic and that he can help people get their vehicles insured. I think it is really important for the international community in Tsukuba to support businesses that welcome foreign clients. Feel free to give him a call at 029-864-7233 if you are thinking of buying a motorcycle or scooter, or if you need some advice about the one you already own.